The large Hadron Collider (LHC) at CERN will soon provide us with experimental evidence of a revolutionary vision of our universe developed since Einstein's Theory of Relativity and Quantum Physics. The implications of a century of intellectual advancement in human knowledge has not yet influenced the system methodology of medicine today. Evidence Based Medicine is still a largely Newtonian mechanistic worldview of empirical objectivity, which is outdated by the Standard Model in physics and the String Theory of extra dimensions. Developing from my previous thesis on the dialectical thoughts of Chinese medicine and Hegel's dialectical logic of progressivism, I am proposing a synthesis of the discoveries of 'New Physics' with the dialectical thoughts of Chinese medicine as the new conceptual direction for the modernisation of our existing medical system and methodology. Medicine must keep up with the latest discoveries in the theory of knowledge. In clinical practice, treating human beings with multi-dimensional aspects of existence requires a medicine capable of dealing with factors beyond physiology, such as placebo effects. 'New Physics' and Dialectical Thoughts may herald a new direction for the next paradym in medicine. Scientific knowledge based on the old world view of Newtonian physics has now been replaced by the 'New Physics' developed from Einstein's Relativity Theory and Max Planck's Quantum Mechanics. If Higg's particle is found in the Large Hadron Collider (LHC) experiment at CERN commencing in August 2008, then we will have a new scientific theory of matter and energy that revolutionises our vision of the universe dating back to the beginning, at the time of 'The Big Bang'. The Standard Model and the supersymmetry of the String Theory both arrived at the Brane Worlds in theoretical physics that may turn our understanding of the universe (or multiverses) up-side-down. Considering the fundamental change in our theory of knowledge as a result of 'Relativity-quantum' development revealing the 'Uncertainty Principle' in the universal laws of Nature, we must conclude (at this point of time) that visible physical phenomenon is not the only yardstick to measure truth. Top scientists are now investigating a multi-dimensional cosmos, and looking into 'dark energy' hidden in brane worlds of higher dimension. Philosophically, Chinese medicine theorists have interpreted human health and disease throughout the many thousands of years of Chinese civilisation parallel to the direction of modern science. Similar concepts such as Yin and Yang theory and the theory of Primordial Qi as well as the holistic pattern of syndromes are used in explaining the dynamics of change within the human body. Instead of objective empiricism, the Chinese use a process of dialectical analysis to comprehend disease and changes within the body. In the past twenty years or so, western medicine has evolved into a rigid system called 'Evidence-Based-Medicine (EBM)' based on the mechanistic principle of Newtonian physics and the philosophical concept of empirical objectivity. A methodology of Randomised-Controlled Trial (RCT) is promoted to distinguish real evidence of efficacy against the placebo effect. 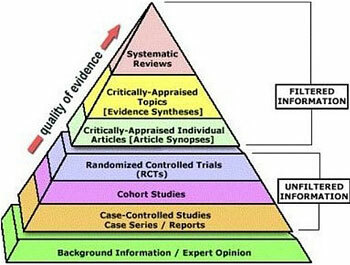 At the top of the EBM Pyramid of evidence, the quality of data in systematic reviews is still limited to the mechanistic physical dimension. This dogmatic approach adopted as the bastion of conventional-western-orthodox medicine is clearly outdated by the new model of knowledge assembled by New Physics, which is unraveling the invisible reality of a multi-dimensional interconnected universe. Indeed according to the 'Planck Scale', space and time are irrelevant or even illusional in the tiny regions of particles. As 'seeing is no longer believing', we will have to integrate EBM and the dialectical based Chinese medicine with modern theoretical physics to evolve a medical system, methodology for the future. Since all disciplines, including medicine will have to adopt to this new vision of reality, the implications to Chinese medicine system methodology will be profound. Chinese medicine theories may seek to leap the realm of science to develop another system of knowledge more capable of describing living organisms in the dimensions of both physical matter and consciousness. In order to bring this about, we should begin with a radical conceptual change in our theory of knowledge. The theory of Relativity W=v+w brings us to the medical parallel of the observer (doctor) and the observed patient together in a cognitive relationship that is interactive with each other. Consciousness of both the doctor and the patient are just as relevant as the physical reality to which the doctor is trying to understand what the patient is suffering from physically and intervene with treatment. The complex relationship between the doctor and patient can equate to the observation of speed, distance and time in Einstein's theory. We are now looking at the physical entity and the psycho-emotional entity of consciousness of both the observer and the observed in a complex, interactive relationship. If spacetime, speed-distance are illusions according to the particle physics theorists, then the relationship of doctor and patient in the dimensions of both physical and conscious reality requires both scientific and philosophical methods in order to comprehend. While scientists in the west search for the 'fundamental entity' in the Standard Model and Supersymmetry, the metaphysics philosophers of the East are searching inwards for consciousness, and together they might arrive at a new horizon. The convergence of both approaches, objective physical laws and inner consciousness of the mind may bring about a new cognitive system of knowledge which will put future medicine into a clearer perspective theoretically. At a higher level of analysis, scientific data will become philosophical concepts. Medical methodology therefore must incorporate philosophical and scientific analysis to arrive at a better diagnostic judgment. Matter is always in a state of motion. The inherent energetic property of a subatomic particle defines the transformation of matters by bonding, confinement and reaction to confinement. The smaller the confined space, the faster particles oscillate. Electrons in an atom orbit the nucleus at 600 miles per second, which are bound by the confining electro-magnetic forces to the nuclei. The positive and negative nuclear forces confine the protons and neutrons to such a small space within the nucleus that make them race around at a speed of 40,000 miles per second. 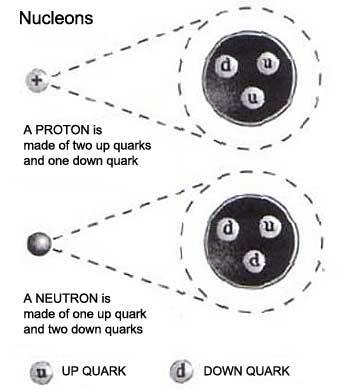 Yet this enormous energy required in transforming matter from one 'quantum state' to another through the interaction of subatomic particles such as quarks has the force of attraction and repulsion that changes the structure of matter. Concurrently structure of matter is maintained in a 'stable state' by a universal dynamic equilibrium. In Chinese medicine, the concept of primordial Qi (energy or vital forces) describes the energetic interaction between Yin (Negative) and Yang (Positive), Qi and materials within the body and Qi outside the body. This echoes a parallel concept of dynamic equilibrium in the balance of Yin and Yang. According to the Grand Unification Theory of physics, the three non-gravitational forces of our universe at low energies merge into a simple unified force at high energies. The simple 'force' at the beginning of the universe just after the 'Big Bang' existed as one at an energy level higher than one thousand trillion GeV. 'The force' split into variations as the universe evolved. At the low energy level of the particle world, these forces exert changes to the structure of matter. Mechanism of the Higgs bosons broke electro-weak symmetry without breaking the electromagnetism that allowed them to acquire masses. The theory of Qi in Chinese medicine breaks Qi into infinite variations of Yin (Negative) and Yang (Positive) Qi within and outside the body. The materiality and functionality of Qi transforms each other in an unceasing movement of interaction which defines health and disease in patterns of syndromes. In this direction, we may be able to quantify and substantiate the concept of Qi with discoveries in particle physics. In the world of subatomic energy levels, further research is needed to find out how particles interact to create 'quantum effects', and 'quantum states' in forming atomic bonds and molecules that give rise to living organisms. If LHC experiment can prove the disappearance of energy into extra dimensional space, then the Chinese concept of energetic transformation may find a scientific confirmation. Science and philosophy at this point is in unison. It is well known that the dialectical thinking of Chinese medicine derives from the philosophy of Daoism. The key concept of regulating the body to create a balanced ecology within is not only a medical application of Hegel's dialectical progressivism, but also in line with the latest thinking of theorists in particle physics. We now know that the cosmos is composed of both visible and invisible dark matters and energies co-existing in different dimensions in an amazing interconnection of possibilities and patterns of change. The body is therefore much more complicated than empirical science can observe. Scientists are critical to the dialectic thoughts of Chinese medicine being lack of concrete evidence, whist the Chinese theorists criticise EBM for lacking a holistic macro-view of the natural world. Both the micro-view and the macro-view of our existence are necessary to provide a truer perception of nature. To be sure, both the scientific methodology and logical methodology of dialectics are products of our consciousness. If our mind zooms inwards towards the subatomic particle world of matters and at the same time outwards to the edge of our universe or the extra dimensional reality of other universes, the connecting point is still our consciousness. Therefore our mind must synthesise the micro and macro perception to arrive at a correct cognition. The methodology of analysing these datas is also part of the equation of cognition. Dialectical thoughts need to modernise in line with the theory of relativity and quantum physic to perfect its conceptual logic. The direction of this research is awaiting exploration by the greatest of minds of the human intellect. At no time here, do I wish to give the impression of an esoteric or simplistic interpretation of the conceptual contradictions as described above. Professor Stephen Hawking is searching for the 'Theory of Everything' in his lifetime. I am more and more convinced that contradictions are inherent within our existence. The brave attempt to discover the 'fundamental entity' without contradictions by great scientists like Hawking may be fruitless. We have to consider multi-dimensional consciousness in a multi-dimensional universe. Contradictions may be inherent in all things. But in order to find the key to the next paradym of medicine, we have to innovate a new theory of knowledge that may become a black hole consuming all the enormous energy of scientists and philosophers alike for the next centuries or so. But then, humankind always strives to discover the truth...with patience, a new era may arrive! ^ Werner Heisenberg -'Principle of Uncertainty'. ^ EBM Pyramid, Dartmouth College and Yale University. 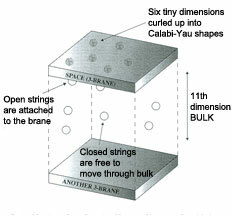 ^ The Planck Scale Length 10³³cm, quantum mechanics. ^ Albert Einstein. Relativity: The Special and General Theory, page 124, "The Theorem of the Addition of Velocities Employed in Classical Mechanics." [7&8] ^ Prof. Lisa Randall. Warped Passages: Unravelling The Universe's Hidden Dimensions, page 775. ^ Prof. Lisa Randall. Warped Passages: Unravelling The Universe's Hidden Dimensions, page 227. 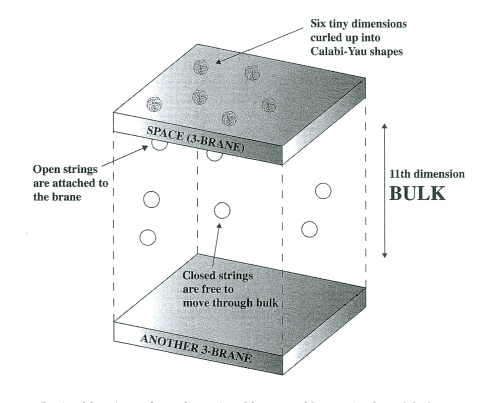 This entry, including its images, originally appeared at http://mfm.acumedic.com/2012/01/the-implications-of-the-scientific-theories-of-new-physics-to-the-innovative-development-of-dialectical-thoughts-in-chinese-medicine. It was used with the permission of acumedic.com.